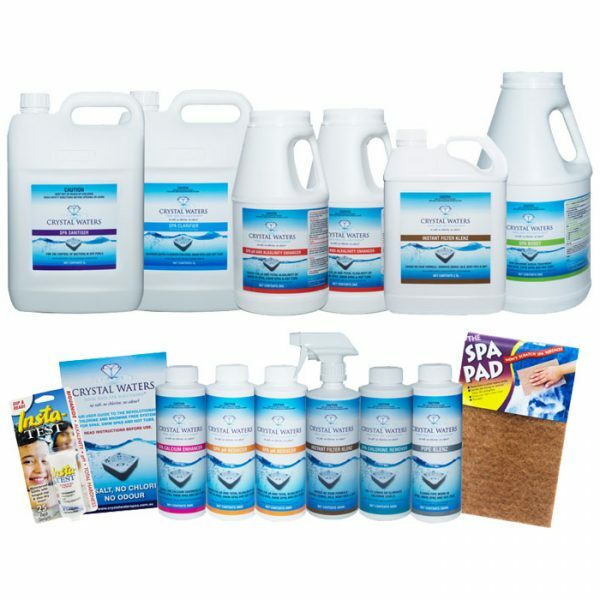 Our 5L spa kit includes everything you need to get started on your new Crystal Waters Chlorine Free system in the largest size available for your convenience! We expect the sanitising products in this kit to last approximately 20 months in a 1000L spa. 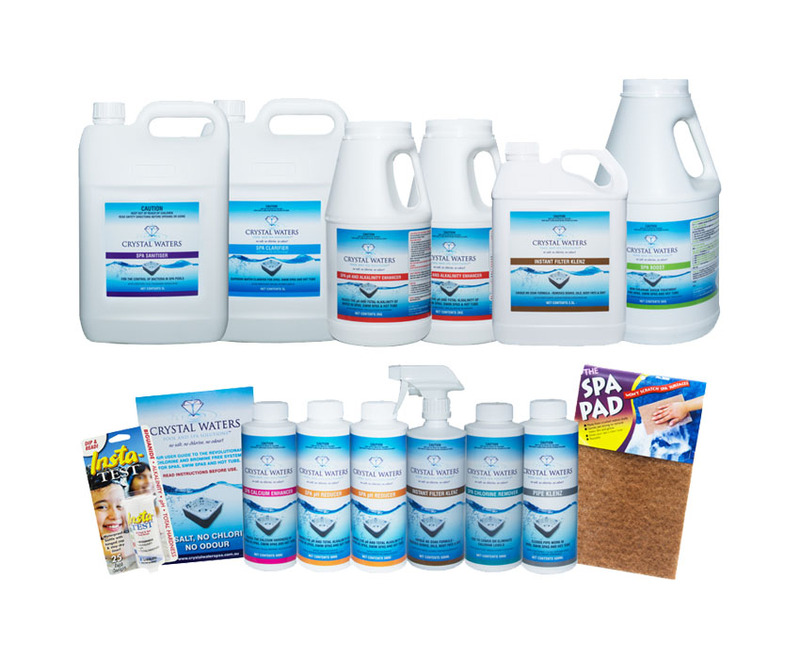 Other chemicals vary customer to customer, but the upgraded sizes and extras we’ve included should keep you going for months! To learn more about the contents of our 5L Spa Kit, please return to our Spa Products page and click the individual products.